If you belong to any generation raised between 1936 and about 1980, you are likely to have one of three opinions about cannabis. A small percentage are experienced users, who were turned on as Beats in the ’50s or Hippies in the ’60s and ’70s. A larger percentage used the drug then, but as they aged and were absorbed by the establishment order, converted; claimed they never inhaled, so to speak. They often see cannabis as a kind of student disease, like left-wing politics and pot noodles. Many, however, have a clear understanding that cannabis is the Devil’s Weed, the Harvest of Horror, the Assassin of Youth. 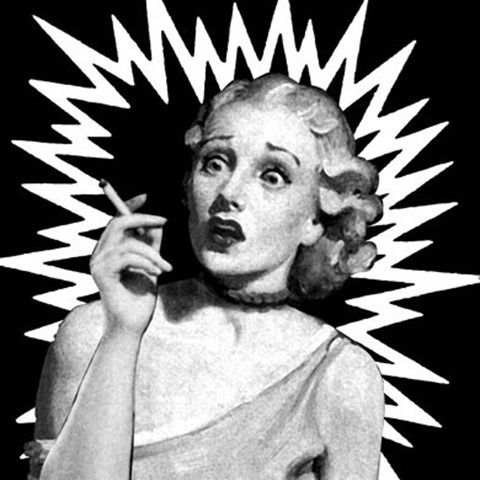 “Everyone knows” these things: that cannabis causes insanity, criminality, and death. That it is acutely addictive. That it leads directly to heroin addiction. That the drug was banned because of the damage it caused to the war effort; this story varies depending on age between soldiers in WWII, soldiers in Korea and soldiers in Vietnam. Every item on that list is factually wrong, but people hold this view for a completely understandable reason. They spent their formative decades being systematically and deliberately lied to by the US government and the press. To understand why it was worth intentionally deceiving entire generations about a common plant, you have to understand how different drug use and abuse were before the War on Drugs, and you have to understand the mechanics of prohibition: the psychology of Us and Them. What was the US adult addiction rate in 1906, and who would you guess was the average opiate addict in 1906? Anyone who’s seen The Wire knows the answer for today; poor, black, male, living in an urban ghetto, probably unemployed, often illiterate and innumerate, a victim of a broken childhood. If you watch Fox News or read the Daily Mail, you probably think addiction rates today are somewhere between 10% and 20%; if you’ve done your research, you’ll know that percentage has been stable at between 1% and 2% for more than forty years. In fact, in 1906, the adult addiction rate was somewhere between 2% and 5%, probably at the top end of that estimate. That is, somewhere between twice and five times as high as it has been at any time during the War on Drugs. Let that sink in. Then consider the average dope fiend of that time: white, female, educated by the standards of the day, middle-aged and living on a farm. Say what? If something like 5% of middle-class rural women were high on refined opiates around the turn of the century, why wasn’t there a radical social breakdown analogous to the modern ghettos? Well, as it turns out, that’s a pretty simple question. The social breakdown is caused by prohibition, not opiates. The key difference between then and now was that getting high was legal. It was, however, a real public health problem, and a much more severe one than today’s equivalents. The problem had started with the introduction of morphine and laudanum into surgical procedures for soldiers; no-one had any real idea of the scale and endurance of their addictive properties, or how to treat them afterwards. Large numbers of men from the Civil War onwards re-entered society with a lifelong addiction. Many of our middle-class farmwives were initially turned onto the drug by misadventure, as it was a major constituent of snake-oil remedies that were mostly hawked to middle-aged rural housewives. The government set out to do something about this problem, and what it produced was the Harrison (Tax) Act of 1914. The Act effectively, and very rapidly, brought order and government oversight to the business of patent medication, and in the process dropped the addiction rates to the baseline I mentioned above, where they’ve been pretty much ever since. To recap; they approached the problem by regulation enforced through taxes and fines rather than criminal penalties, had a licensing regime for medical uses, and they did not criminalise recreational use of cocaine or opiates. That strategy worked very well. So how did we get from this effective, sensible legislation (when there really was a massive public health issue) to the industrial leviathan that is the global War on Drugs? Between 1915 (after the Harrison Act) and 1937 (when the first Federal prohibition laws were passed banning marijuana) twenty-seven states passed prohibition laws. Some  of them did so either because they had heard about other states outlawing the weed and pre-emptively banned it just in case; or in the original four states, being Texas, New Mexico, Colorado and Montana, they passed the laws because they didn’t like Mexicans. I was slightly stunned when I found the linked transcript, which is of a briefing delivered to the California Judges Association in 1995. First, that I’d found a chronicle of marijuana prohibition that was more or less unimpeachable, given its source. Second, that the legislative history of US marijuana prohibition reads like a pulp conspiracy theory, and most of it is the fault of Harry Anslinger. The man who declared war on weed had been an aggressive agent for the Treasury’s Bureau of Prohibition, and his experience on the frontlines had taught him the Iron Law: “Prohibitions are always enacted by US, to govern the conduct of THEM.” The next essay looks at his personal contribution to the rolling disaster that is modern marijuana prohibition. 26, to be precise. The other state was Utah, and they banned it because the Mormons who didn’t smoke it won the argument against the Mormons who did. Which conceals an interesting story, because the reason a bunch of Mormons were smoking pot in 1919 is that they’d just spent a couple of generations south of the border, on the run from US bigamy charges. So, actually, it was all twenty-seven who just didnt like Mexicans. And as a final note of hollow humour; one of those pot-head Latino Mormons was the contemporary patriarch of the Romney clan.